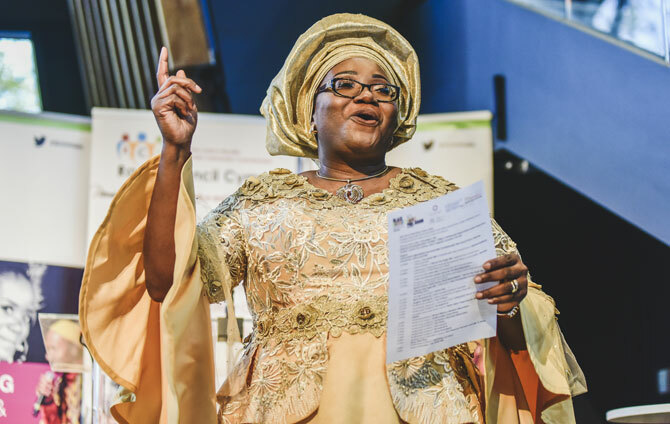 Uzo Iwobi OBE is the College’s very first International Chair of Diversity. 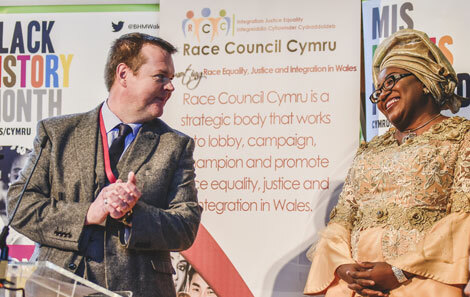 Uzo, the Chief Executive Officer of Race Council Cymru, will work with the College on its diversity strategy to make sure the College is as diverse and inclusive a space for its students, staff and visitors, as possible. “I will be working with senior leaders, front line staff, volunteers, students and lecturers amongst others, to ensure that the College continues to be a pacesetter and a beacon for equality- leading the way for other conservatoires to follow – because promoting inclusion and celebrating diversity will enable us to mainstream equality principles across the work we do,” said Uzo. “It’s the College’s ambition to be at the fore of the equality and diversity agenda and to be seen as a flagship institution in this area,” said Brian Weir, Director of Student Experience at RWCMD. “We want these buildings to be accessible to all, and that we also go out and work with all communities in Wales.